You can renew your expired United States visa or reapply for a new visa to enable you revisit the country. To renew your United States visa for non immigrant applicants means that as one who has once been a temporary resident in the United States, you wish to apply for a new temporary visa so that you can be able to visit the country again. It is possible to renew an expired United States visa in Nigeria by going through certain application processes which are similar to those of obtaining a fresh visa. Also, there are certain conditions that have to be met for you to be able to successfully carry out the application process of renewing an expired US visa. There are certain situations where an applicant qualifies for a visa renewal to the US. An individual who do not belong to any of these situations or does not satisfy the conditions will be required to apply afresh for a visa and follow the basic processes. Same Class of visa: This is one of the basic conditions that must be satisfied to qualify for a visa renewal. A situation where an applicant is applying for a renewal in the same category or class of visa as the one that is expired. This means that you can only apply for a renewal of visa for the same category of visa which you once had. 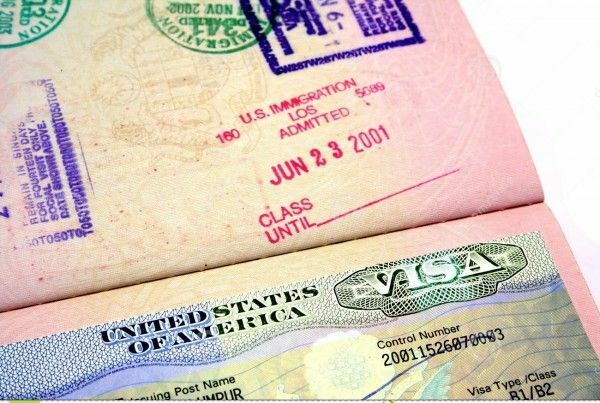 You cannot have an expired B-1 visiting visa and expect to renew it to an H1 work visa. Previous ownership of a valid visa: you can only apply for a renewal if you have a once had a valid visa to the United States. Applicants who have never been issued a visa do not qualify for renewal. Such applicant must apply afresh for a visa. Not more than a year of expiration: You can not apply or renew your visa after twelve months of expiration of your previous visa. If your visa has expired for over twelve months, you will not be eligible to reapply. Revoked or Cancelled Visa: An applicant whose visa was revoked or cancelled for whatever reasons will not be able to renew such visa. One renewal per application: applicants are allowed to apply for a single visa renewal at a time. No applicant is allowed to reapply for more than one visa class at the same time. This means you cannot get a B1 visitor visa and an F1 student visa at the same time application. Misplaced or Stolen Passport/Visa: You will not be able to reapply for a visa if you had misplaced or are not able to provide your previous passport showing the valid or expired visa. Long –Term Resident: You can also apply for a visa renewal in Nigeria even if you are not a Nigerian. However, it is required that you must have been a long term resident in Nigeria and have once received a valid US visa. Unskilled Visa Class: applicants for the unskilled visa class (H-2B) are also not eligible for a visa renewal. Step Two: Make Available all Necessary Documents. A completely and correctly filled US visa renewal application form. This can either be the Form I-797 (H and L work visas), Form I-20 (F and M student visas) and Form DS-2019 (J exchange visitor visa) depending on what is applicable to you based on your purpose of travel. To proceed to this stage of the US visa renewal application process, you must have determined the appropriate visa type you want to reapply for or renew and also confirmed your eligibility. Different types of non immigrant visa have different fees attached. Usually Nigerians are expected to pay between $160 and $265 depending on the type of visa applied for and payment is usually made at any Guaranty Trust bank using local currency. Ensure that you pay for the class of visa corresponding to the one you wish to renew and make copies of all your payment receipt for reference purposes. For list of visa renewal application fees for the different types of visa under the non immigrant visa class and more information on how to pay your visa fees, you can click here. After you have paid your fees, the next step is to complete your visa application form. You are expected to complete the Non immigrant application form also called DS-160 alongside the corresponding renewal form such as Form I-797 (H and L work visas), Form I-20 (F and M student visas) and Form DS-2019 (J exchange visitor visa) based on your purpose of travel. These must be completed correctly before you can be allowed to proceed to the interview stage (if applicable) at the United States Consular or Embassy. Typically, the DS-160 form consists of a barcode number which you must look out for and print out. It is important that you follow all instructions on filling the form carefully, enter correctly all information and do not falsify or hide information as this could jeopardise your eligibility to travel. Follow this link to find the guidelines to completing your DS-160 visa application. Also, you should ensure that your signature is properly appended on the form before submission. Note: It is important to print your DS-160 confirmation page containing the barcode number. You will be required to come with it for your interview if required and will not be granted interview without it. It is possible to apply for a visa renewal to the US or reapply for a visa without going through an interview. This is an Interview Waiver Program option also known as the Dropbox Service. The applicants who qualify for this are those applying for a renewal under the B1/B2, F, M, J, L and H visa class. You can check for eligibility for this program by clicking here. Provide a correct address for the embassy to be able to forward your passport and your new visa if granted. You must also ensure that you fill in the correct contact details and information such as email address, phone numbers and also your passport numbers. Your visa renewal application process usually takes about seven to ten days for your visa to be sent to you. However, in some special cases, the applicant will be required to come for an interview and this may make the process longer. Ensure that you choose a suitable pick-up location for your passport and get a new visa to be sent to you once approved. All applications for interview waiver must be submitted through the DHL Document Dropoff service location and should be done before a year of your visa expiration (specifically not lesser than ten days before expiration). The list of drop off locations are listed below for document submission. 14 Chief Nwuke Street , Off Bewac Junction Port Harcourt. For more information and enquiry, please be sure to visit the US embassy or consulate website here. do i have to create a new profile if my old email is no more accesible? Do I need to fill a DS 160 form if I have an interview waiver? If yes, If my passport picture is not attaching to the DS 160 form, what do I do? Will i receive a mail informing me if my US visa renewal under the drop box application is successful or not? What are the working hours of the processing centre (230 Muri Okunola) in Lagos for Dropbox applications? Can I submit my documents on any weekday?